Ever wonder why, with Windows 7, your screen seems to just disappear for no good reason? It can be quite disconcerting. Until you know what is doing it. This is one of the things we teach in our hands-on Boot Camp. There is a little vertical bar in the lower right corner called the ‘Show Desktop’ bar. Just hovering over it makes everything on your computer become transparent so you can take a ‘sneak peak’ at your desktop. As soon as you move your mouse away from the lower right corner, everything comes back. If you want to actually do something on your desktop, then you can click on the ‘Show Desktop’ bar and all open windows will be instantly minimized. 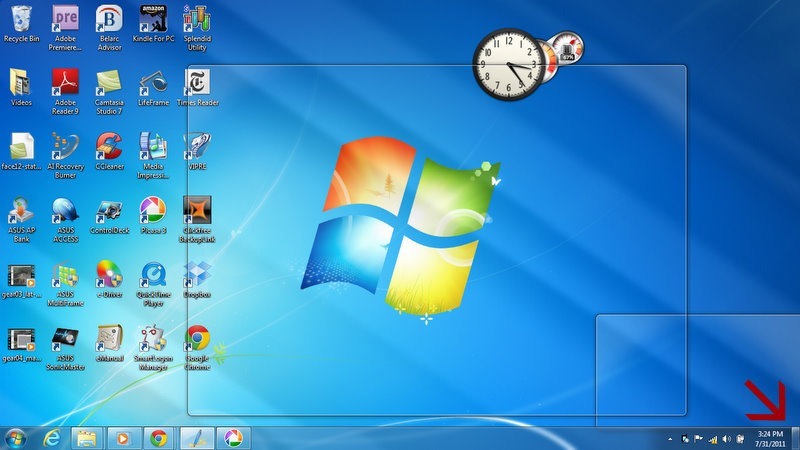 If you’re a Geeks on Tour member, you can watch a video that demonstrates the Show Desktop bar as well as other features of the Windows 7 Desktop. Published by MrsGeek, in Blog. Tagged with show desktop bar, Windows 7.